Series of personal property records belonging to the Isaac T. Goodnow collection. Isaac Goodnow was an early resident of Manhattan, Kansas, and was a free-state supporter. He was a delegate to the Leavenworth Constitutional Convention and was one of the founders of Bluemont Central College. 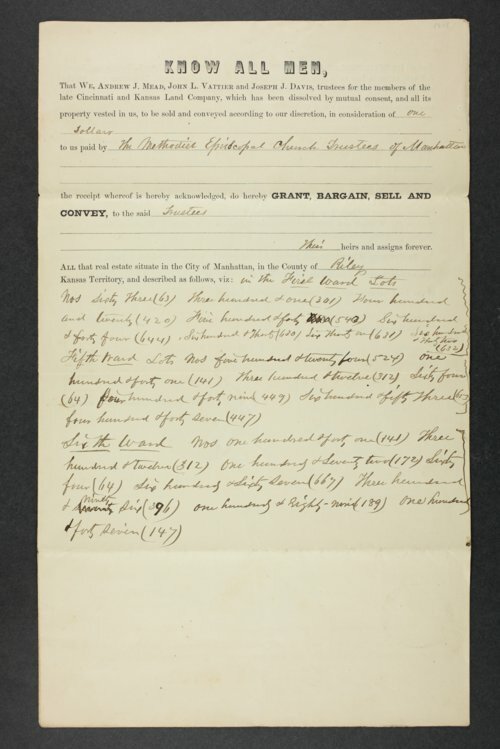 Included in these documents are land deeds, mortgages, assessment lists, and lot lists.